has this replaced Liza's JetSet? unfortunately, this rag won't last very long. walang market. Quite like that "We're going places." tagline. Love the look. Where else can I buy this mag??? I went to Magnet and sold out na raw. 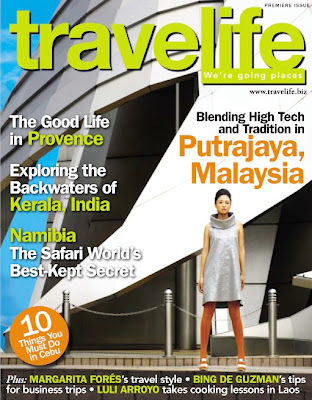 Hey, Manila needs a proper travel magazine. We don't have any, except for pseudo travel supplements every once in a while. If it's a good mag, I'm all for it!